(known as Oboe Hindu), used in classical music as in the folk. 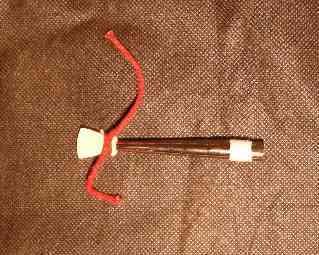 It is made up of a body of wood to which he inserts a mouthpiece which contains a double tongue, ends with a bell metal. The shehnai is a aeróphone which is thought to attract good luck, and as a result, is widely used in northern India for marriages and processions.
. It may have evolved since the Persian Nay. 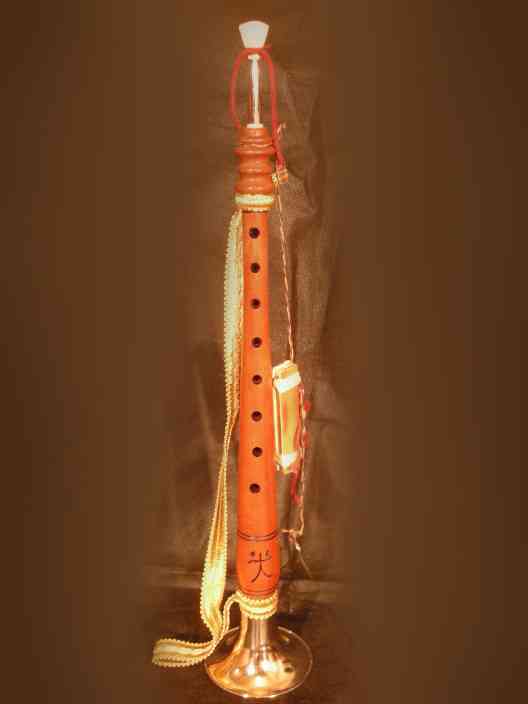 There are representations of Nay on Egyptian tombs dating to 3000 BC Historically, in India, Shehnai was one of nine instruments associated with the sets of royal courts.
. Today, the Shehnai is still playing in temples. This condition has done a necessary tool in Indian weddings and festivals in the north. 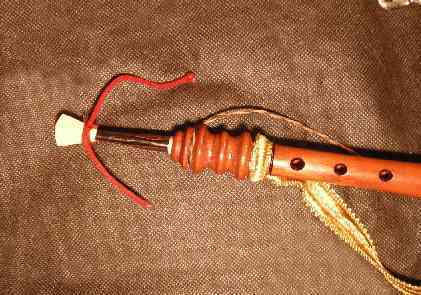 The Shehnai is a wooden conical body on the outside and inside, with a bell nickel-plated metal. 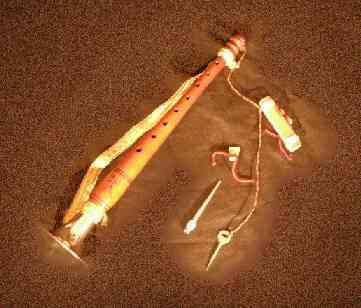 The Shehnai has eight holes and a double reed oboe or external similar to a small vegetal for breath. 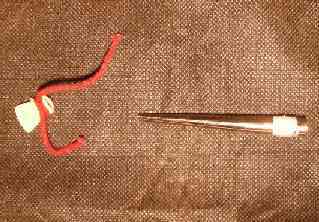 The tongue is inserted into the conical peak metal (Tudel), then this set is inserted into the body of wood together with the hood. This instrument has a sealed chamber of air. When running, the lips are placed on the upper mouth, this is to put the cane inside the mouth. The mouth is now part of the instrument and acts as a air chamber. Prior to touching the mouth duty soaked to soften. It is recommended that you soak in water for 5 minutes. You can try the mouth occasionally at this time to see if the sound is good, there is no need on soaking. The fingers of his right hand covering the lower four holes. The fingers of his left hand plug the four top holes. The coup makes air vibrate the tongue and so is sound, there is no need to blow exaggerated. Some vanities of Shehnai adjust the sound and intonation wholly or partially closing holes with beeswax, as the desire of each player in order to form new musical notes and new scales for interpretation. 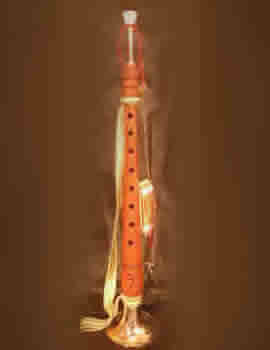 The Shehnai is an instrument used in the folk music of India and also was inserted in classical music. 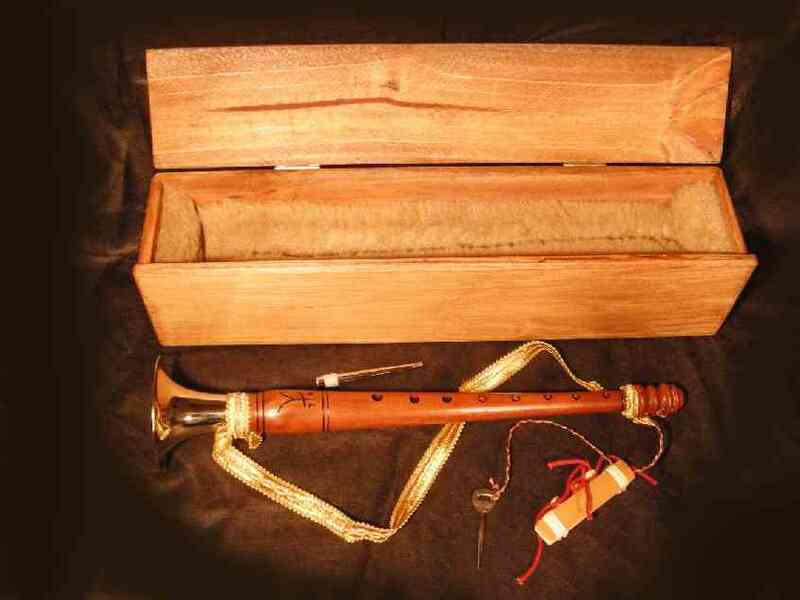 Unlike the European oboe, Shehnai allows alter its height sound (pitch) and uncovering not just plugging holes, but also with the pressure or tension that exists between the lips and tongue. Many ornaments typical of Hindu music is achieved using this technique. 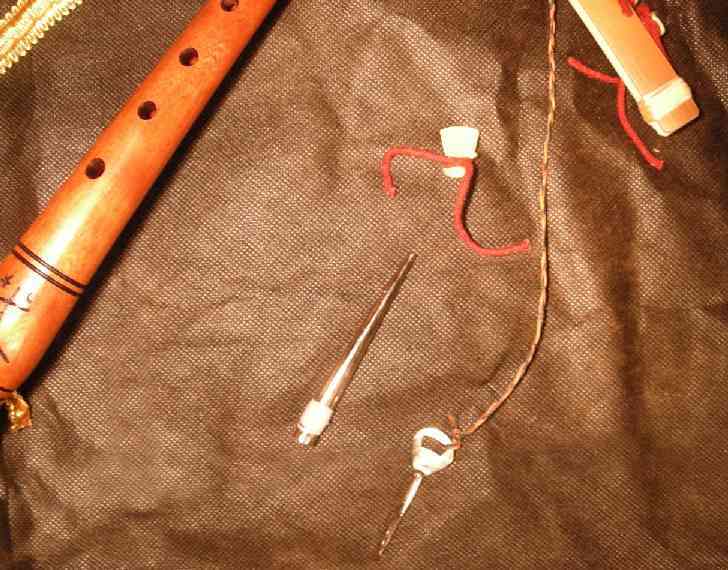 Normally the vanities of Shehnai plug the holes with their fingers phalanges, which is why many photographs and videos found the body of the shehnai is under half of the fingers, this allows also accompany the modulations in pitch achieved with the mouth Because the fingers often moving slightly toward one side or not finish at all uncover any hole. 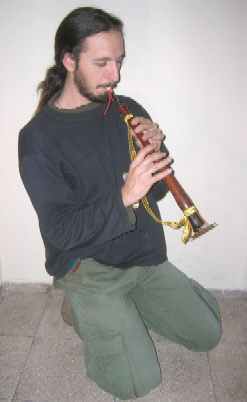 Many players of Shehnai achieve fast seeming melodies that his fingers barely move. Also, like many Hindus instruments, melodic practice is achieved once the musician can get to sing and then play it with his instrument, the Shehnai is one of the few instruments in the world of tongue twice as much similarity to imitate the voice human. 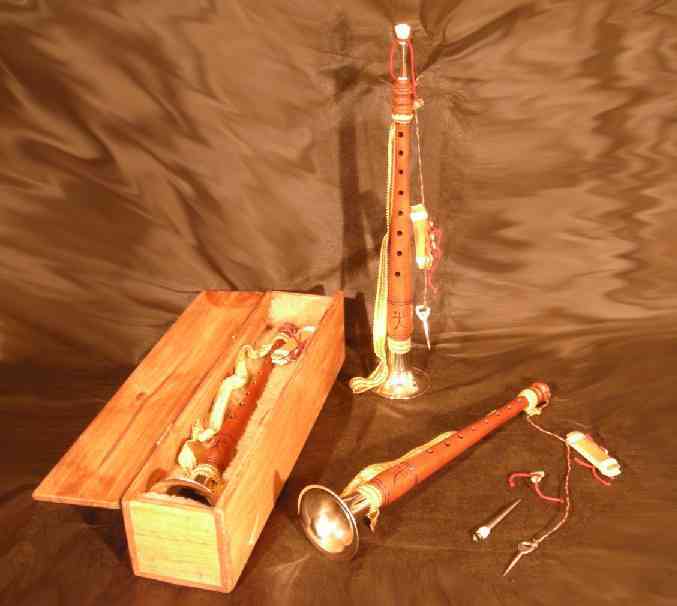 Together with the instrument is a stretch of double reed assembled (press bamboo) to insert the tabs for these take the form closed (plates), plus a small key tip to open the tabs if these are very closed or accommodate in the leadpipes. It is recommended to keep tabs dry, not drying in the sun, if not naturally through the air. 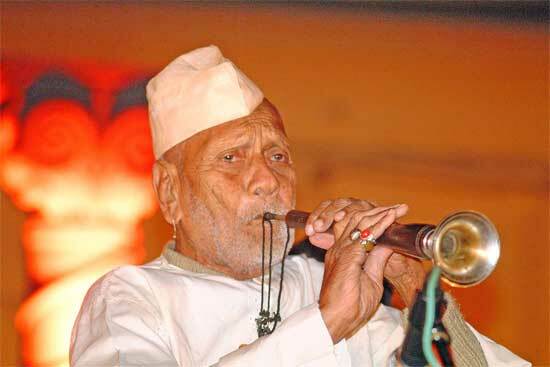 You can mention Ustad Bismillah Khan as the great master of Shehnai. , you can write to us by the section CONTACT to purchase it, Thank you.